eCampus is located on the second floor of the Instructional Resources Center (IRC) building. 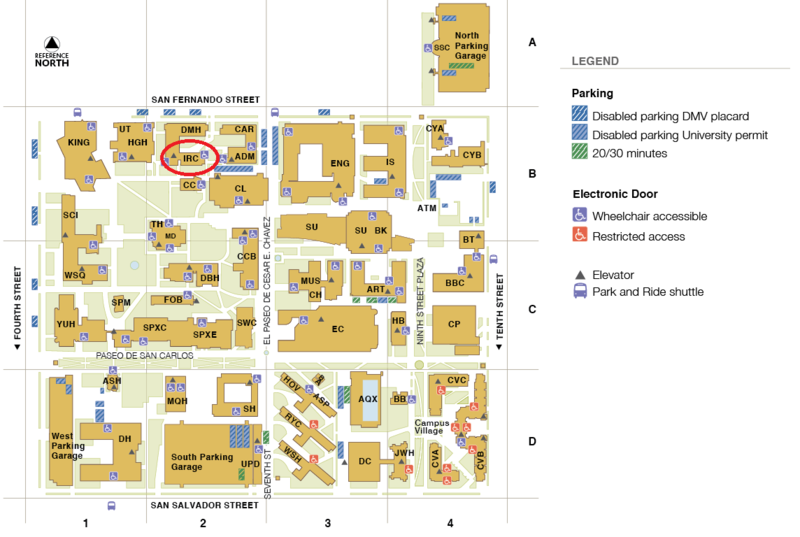 We're located right behind Clark Hall. Adobe Creative Jam is April 18 at Adobe HQ in San Jose. SJSU students register free at cjam.in/sjsu. Visit eCampus in IRC 206, call us at (408) 924-2337 or email us at ecampus@sjsu.edu if you have questions or for more information. Learn more about the eCampus Professional Development Tracks Program. Introducing Zoom web conferencing: A cloud-based platform for all your online group meetings.